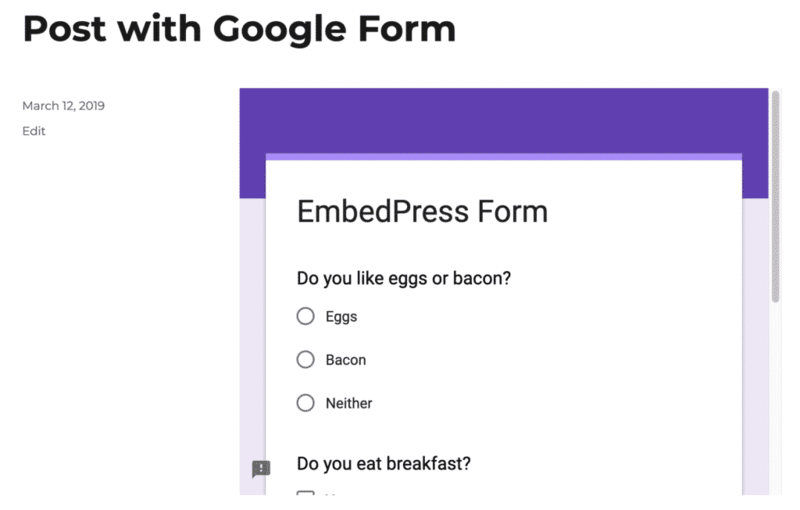 With EmbedPress, you can add Google Forms to WordPress, using just a URL. Google Forms is an enormously popular service that many companies use to collect customer data. Using Google Forms makes it very easy to create contact forms, registration forms, surveys and more. Google Form embeds are possible, but they’re not easy to use via normal methods. EmbedPress is different. With EmbedPress, you don’t have to mess around with the embed code. All you need is the Google Forms URL. 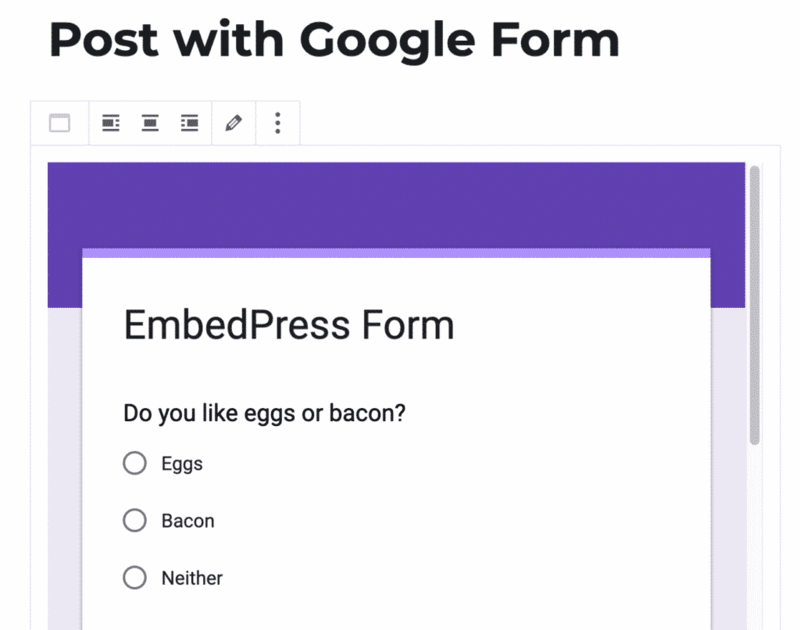 Here’s how to embed any Google Forms into your WordPress site, using the EmbedPress plugin. EmbedPress is a very helpful plugin that expands and improves on WordPress’ capabilities. Install EmbedPress and your WordPress site will have far more powerful media options. 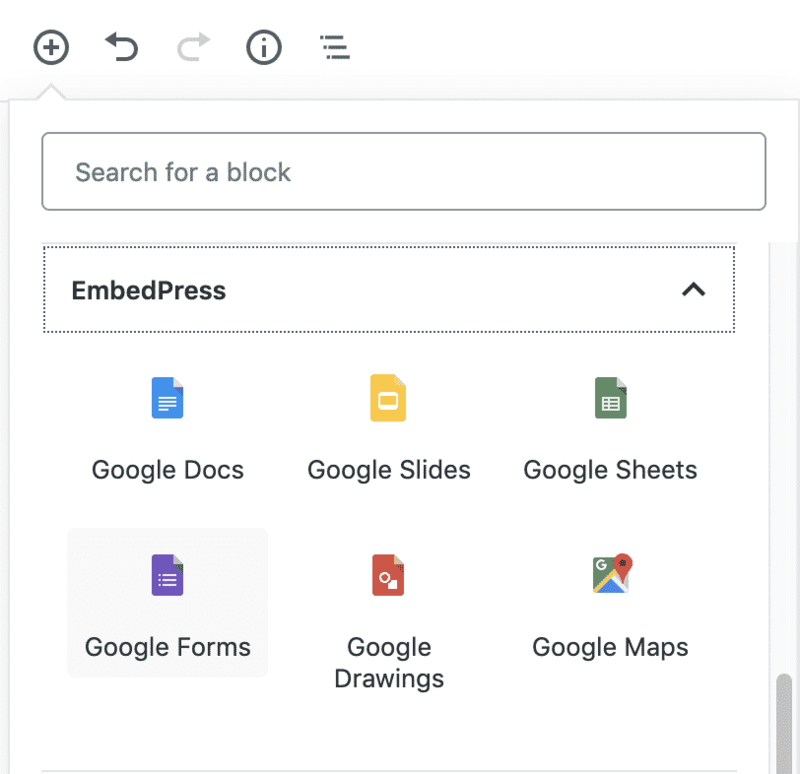 Before you can embed your Google Forms into WordPress, you need to make sure that it is published and visible for the public. 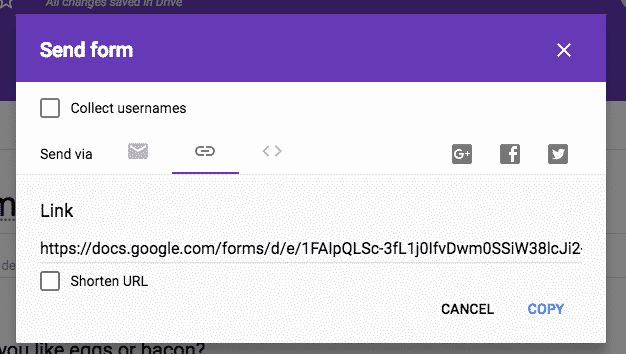 Log in to Google Forms and access the document you want to publish. Click the link icon in the pop-up window. 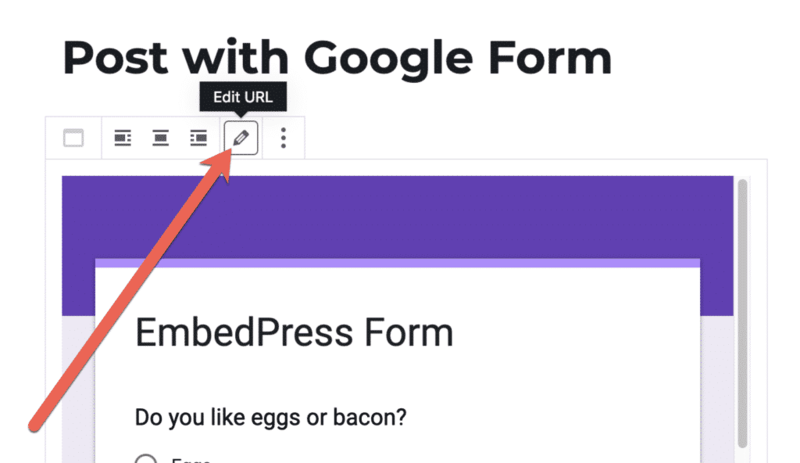 Now you have the Google Forms URL, you can add it to WordPress. Click the + icon on the top left corner. 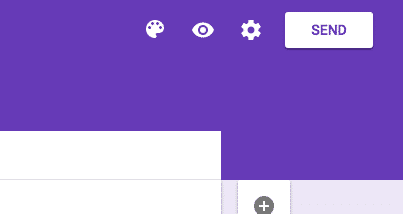 Add your Google Forms URL into the content area, with the “Visual” tab enabled.